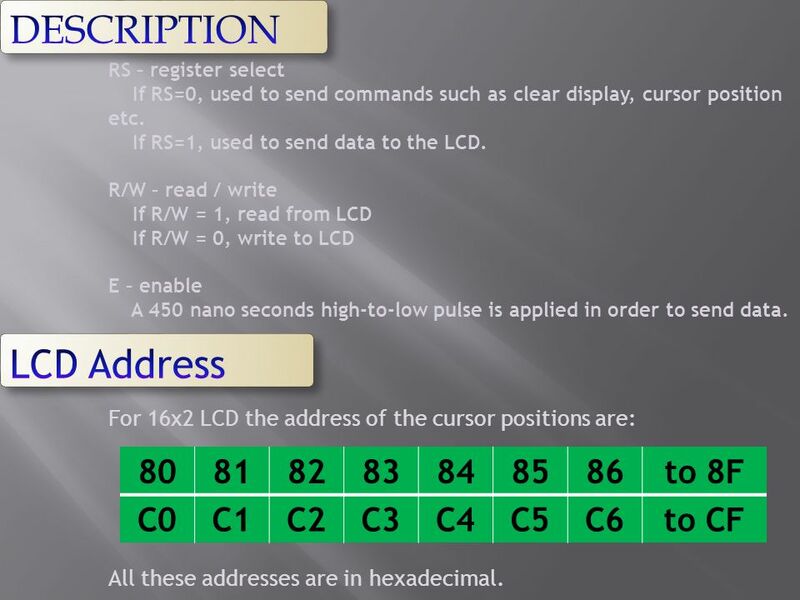 Timer	-	2 I/O pins	-	32 Serial port	-	1 Interrupt sources	-	6 8051 is based on CISC architecture.  It is based on Harvard architecture. So, it has separate program and data memory. 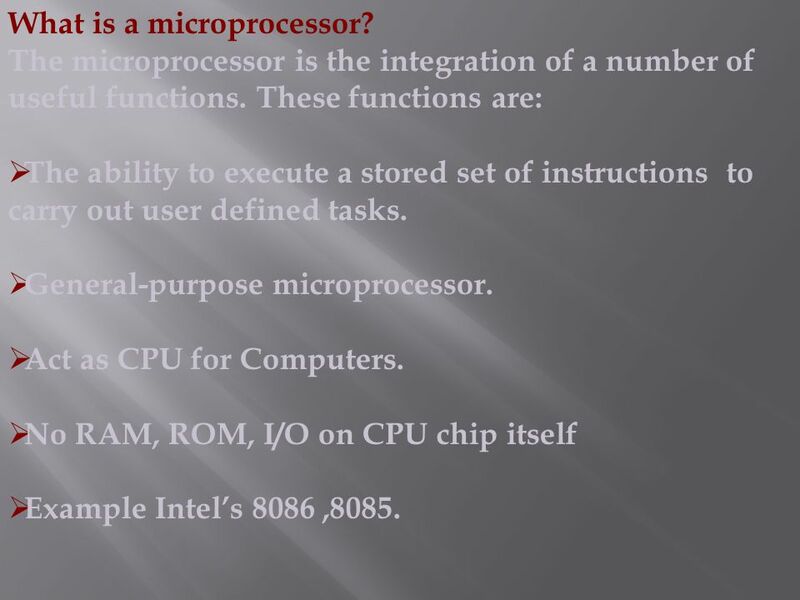 6 What is a microprocessor? 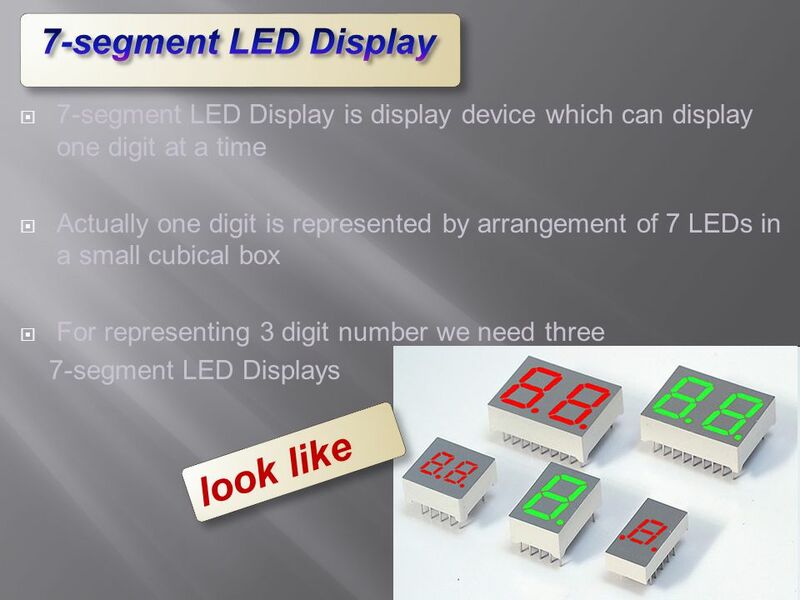 The microprocessor is the integration of a number of useful functions. 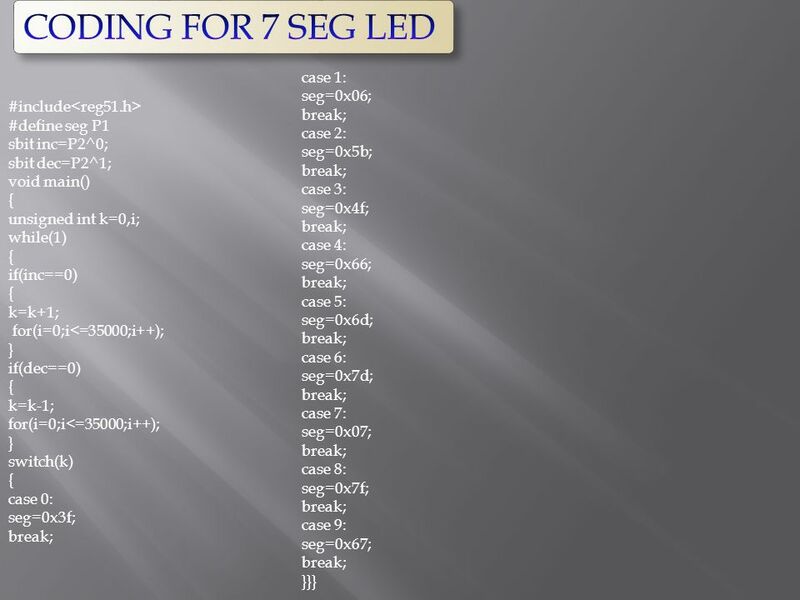 These functions are: The ability to execute a stored set of instructions to carry out user defined tasks. 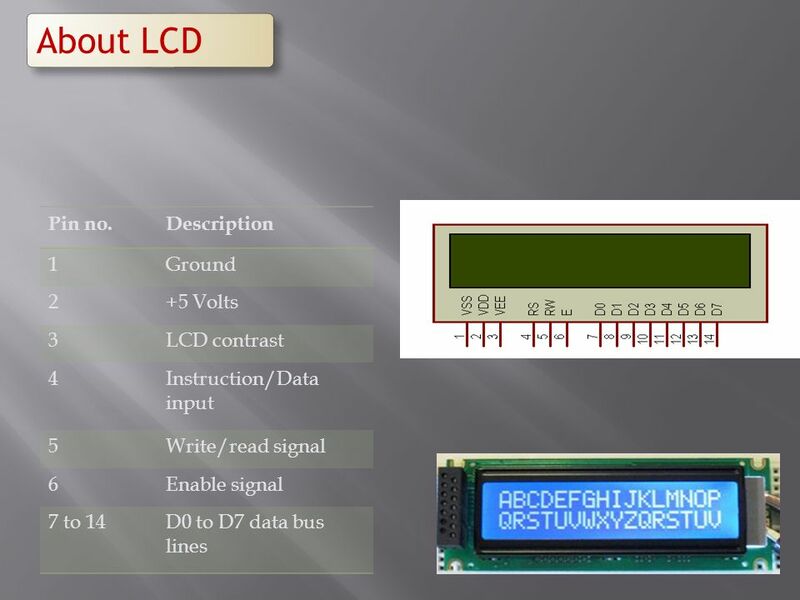 General-purpose microprocessor. 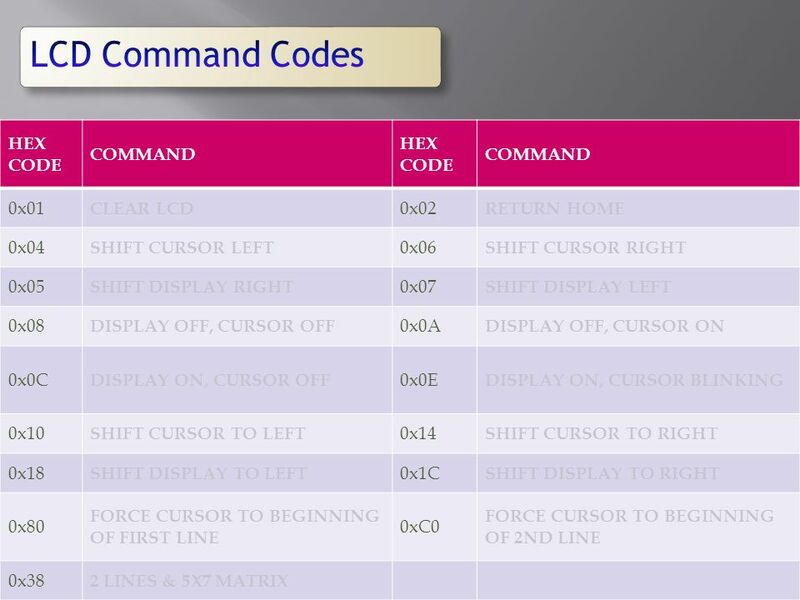 Act as CPU for Computers. 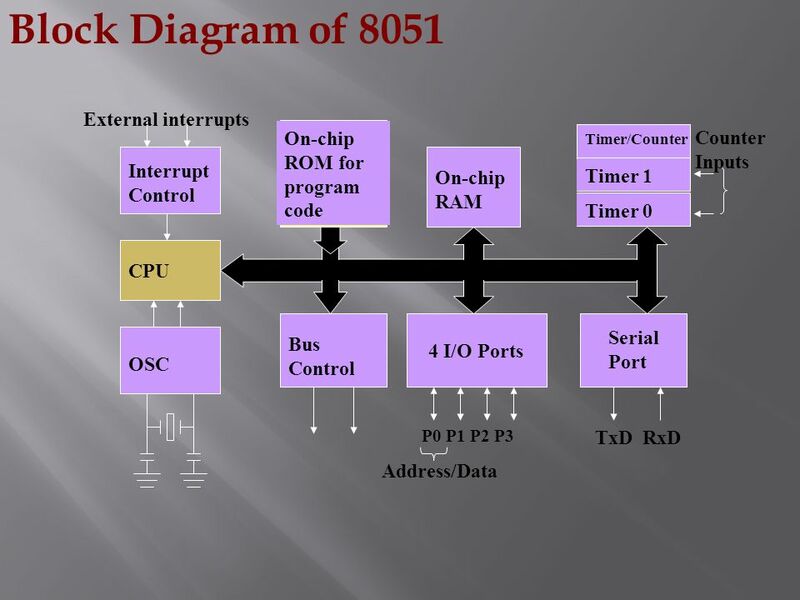 No RAM, ROM, I/O on CPU chip itself Example Intel’s 8086 ,8085. 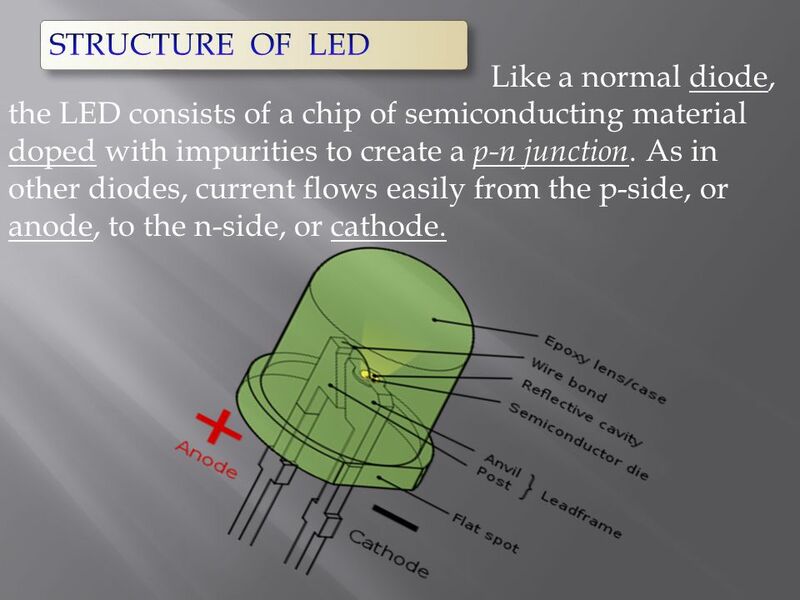 10 STRUCTURE OF LED Like a normal diode, the LED consists of a chip of semiconducting material doped with impurities to create a p-n junction. 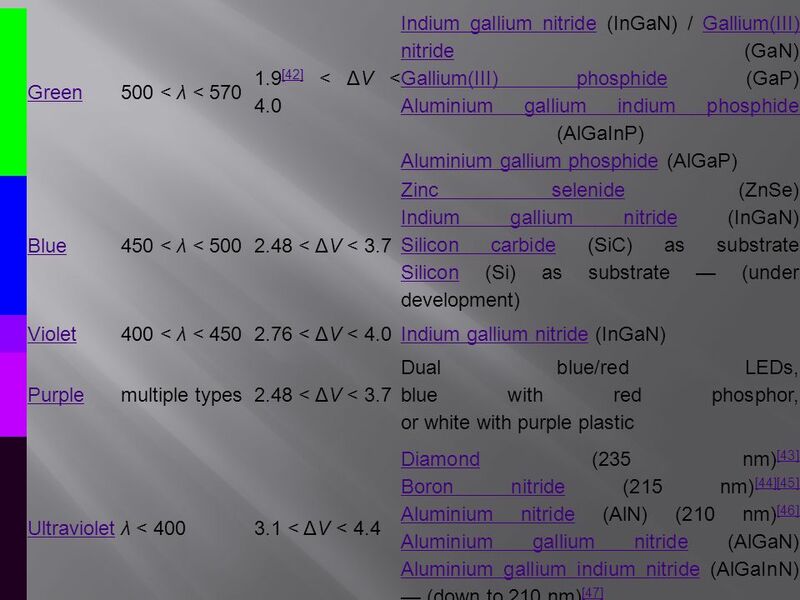 As in other diodes, current flows easily from the p-side, or anode, to the n-side, or cathode. 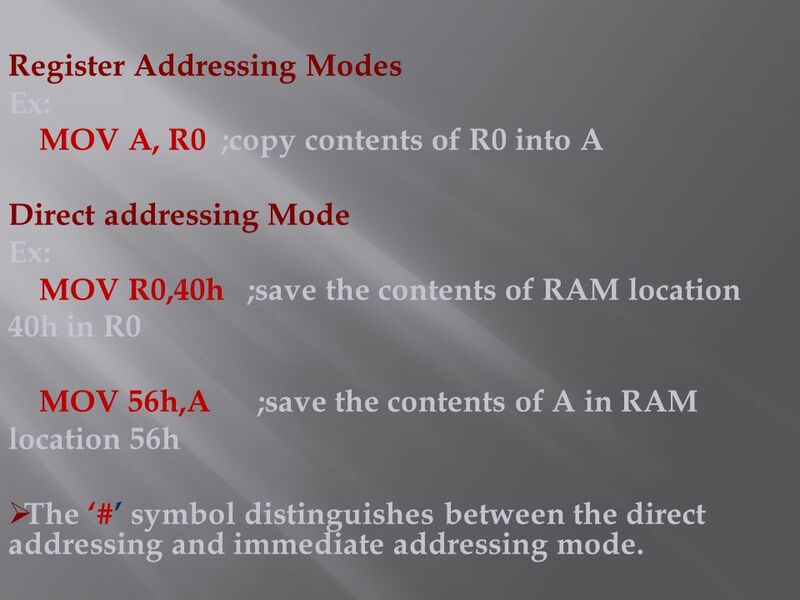 Ex: MOV A, R0 ;copy contents of R0 into A Direct addressing Mode MOV R0,40h ;save the contents of RAM location 40h in R0 MOV 56h,A ;save the contents of A in RAM location 56h The ‘#’ symbol distinguishes between the direct addressing and immediate addressing mode. 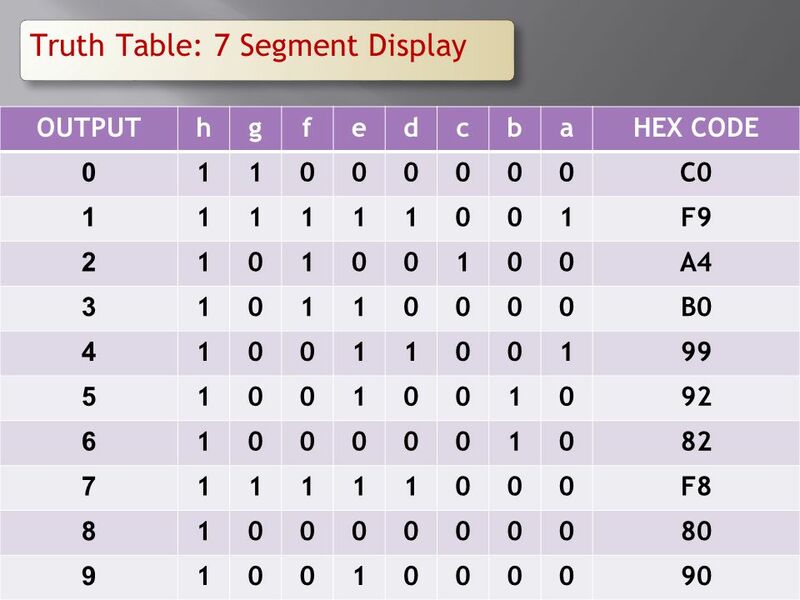 Here register is used as a pointer to the data. 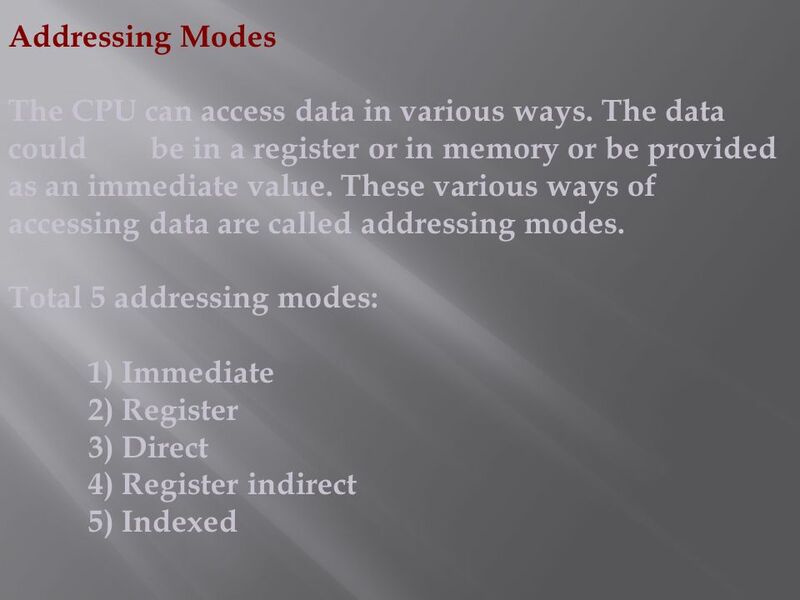 If the data is inside CPU, only registers R0 and R1 are used for this purpose. 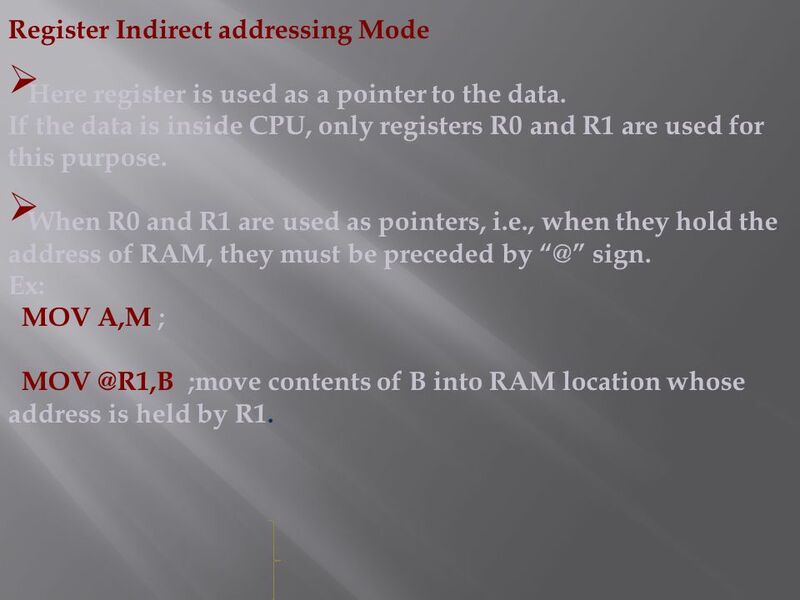 When R0 and R1 are used as pointers, i.e., when they hold the address of RAM, they must be preceded by sign. 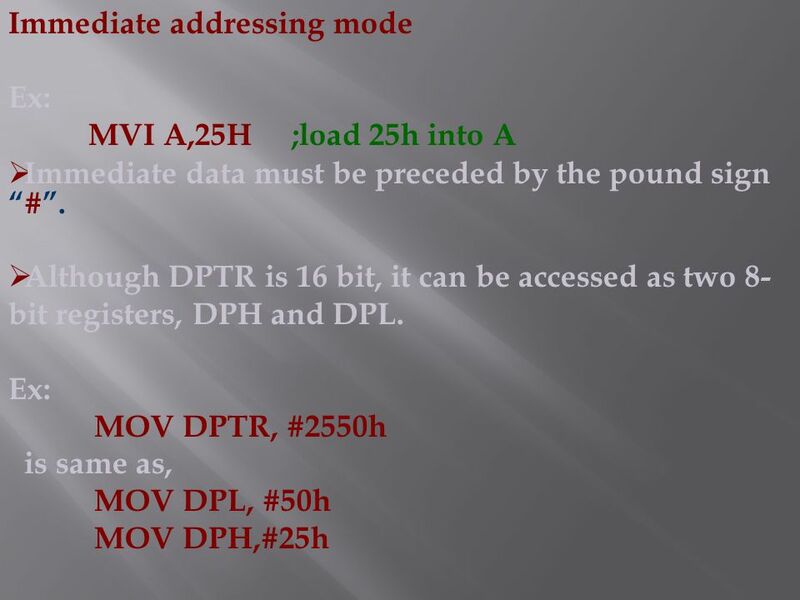 Ex: MOV A,M ; ;move contents of B into RAM location whose address is held by R1. 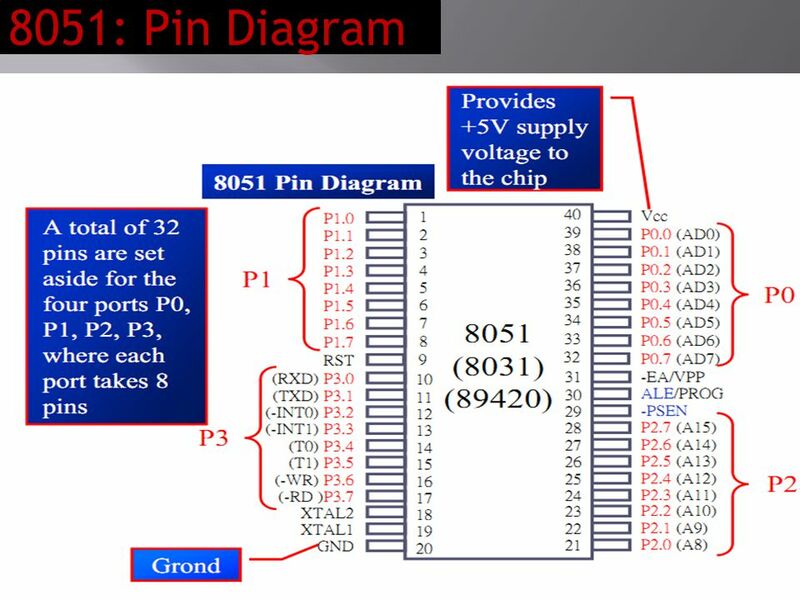 Download ppt "RPS GROUP OF INSTUTIONS"
The 8051 MicroController In this module, we will be discussing the MCS-51 family of microcontroller, in particular the 8051, which is the generic IC representative. 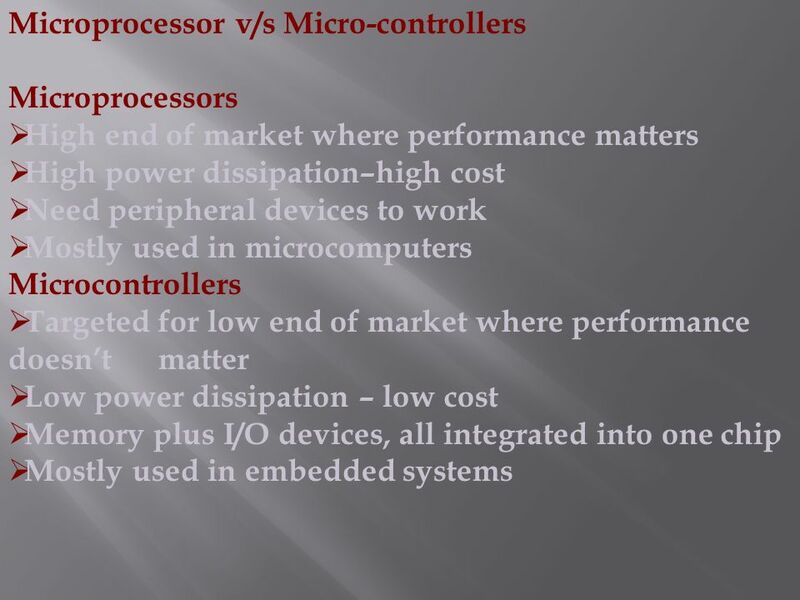 Microprocessors Typical microprocessor controlled devices: Camera, mobile phone, stereo, mp3 player, electronic toys… High-level microprocessor controlled. Microprocessor 8085/8086 Lecturer M A Rahim Khan Computer Engineering and Networks Deptt. 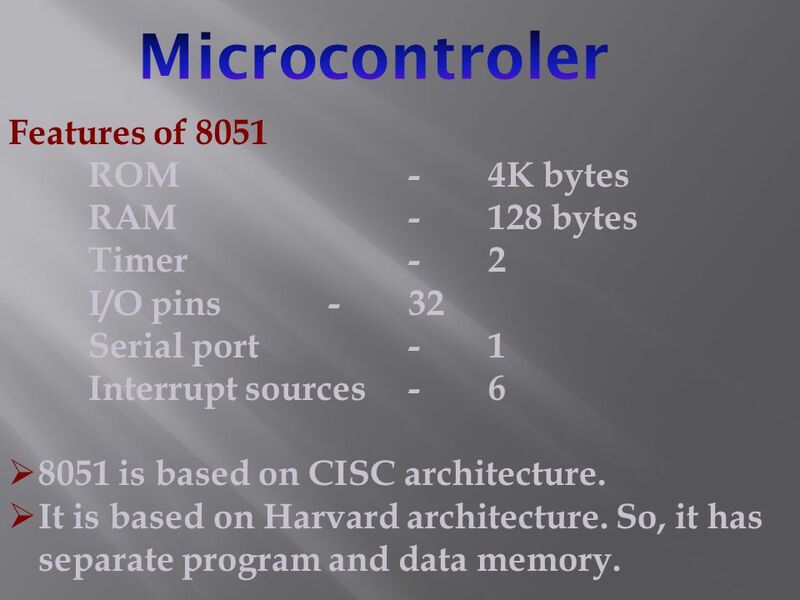 CHAPTER 1 THE 8051 MICROCONTROLLERS. 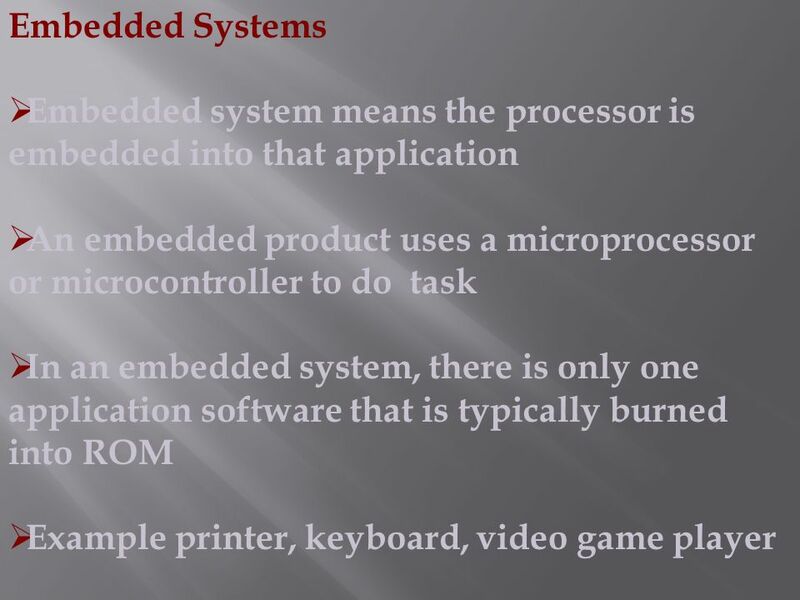 Microcontroller vs. General- Purpose Microprocessor General-purpose microprocessors have ◦ No RAM ◦ No ROM ◦ No I/O. Khaled A. Al-Utaibi  Computers are Every Where  What is Computer Engineering? 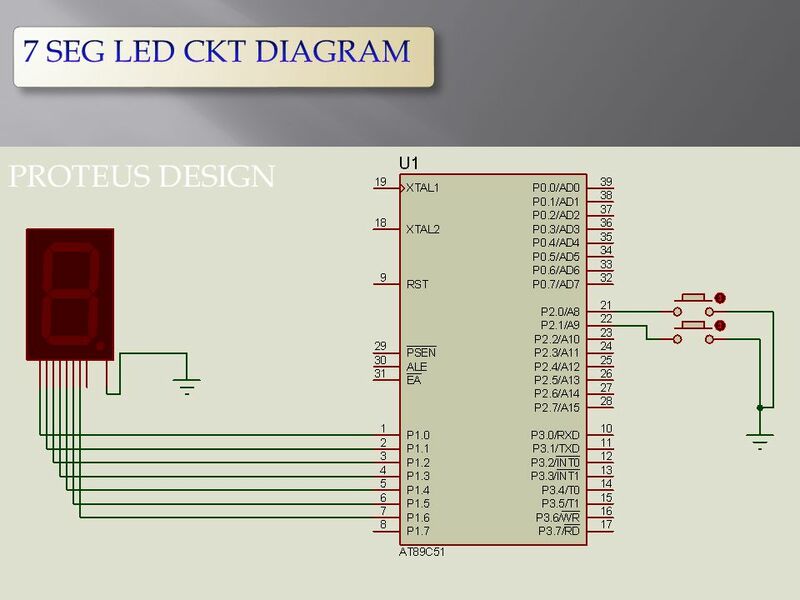  Design Levels  Computer Engineering Fields  What. Engr. 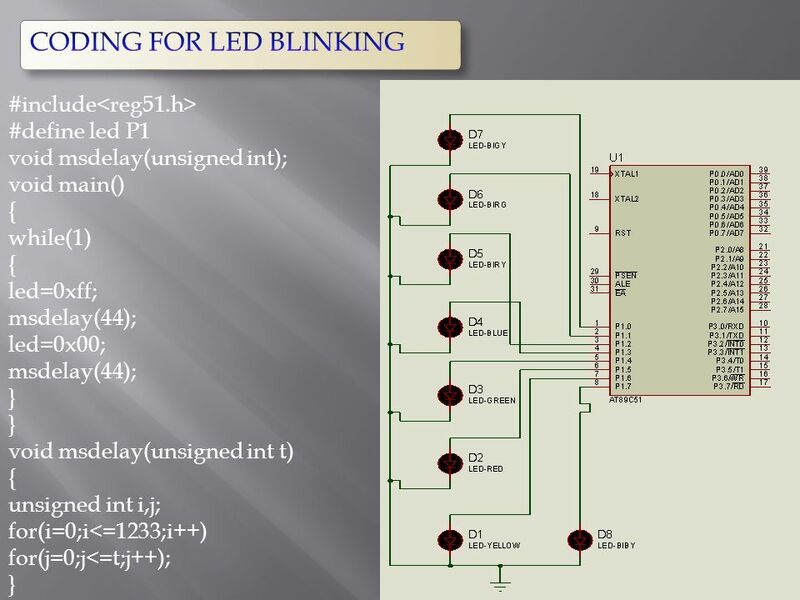 M.K.Debnath1 Microcontroller and PLC Eng. ISRAFIL KHAN. 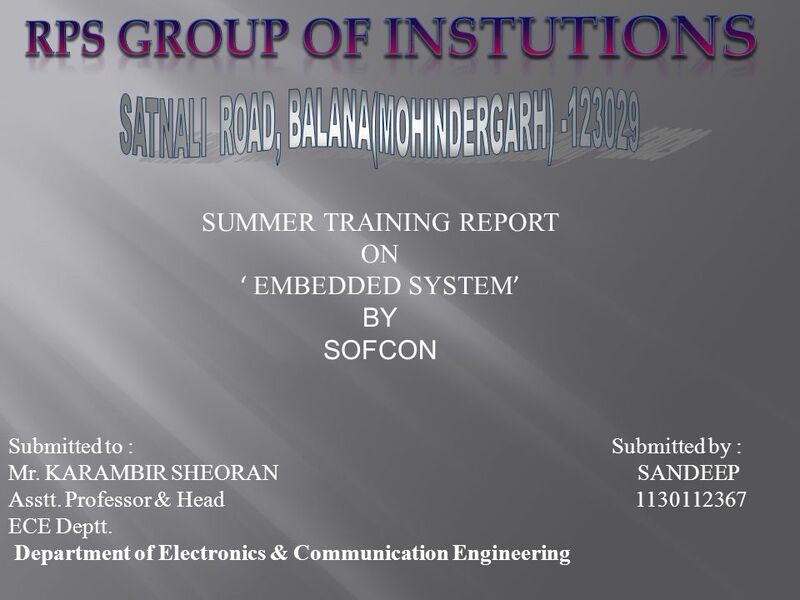 DIPLOMA IN ELECTRONIC. 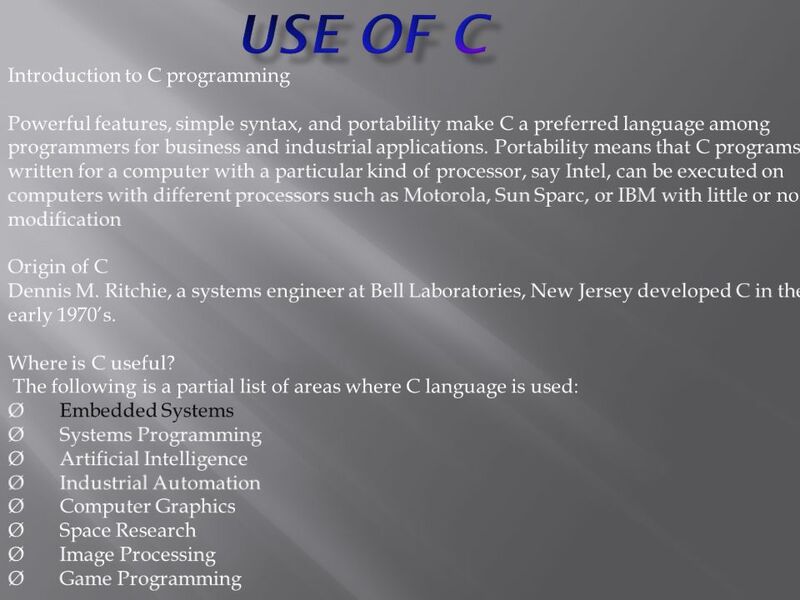  CPU: Central Processing Unit  I/O: Input /Output  Bus: Address bus & Data bus  Memory: RAM & ROM  Timer  Interrupt  Serial Port  Parallel Port. 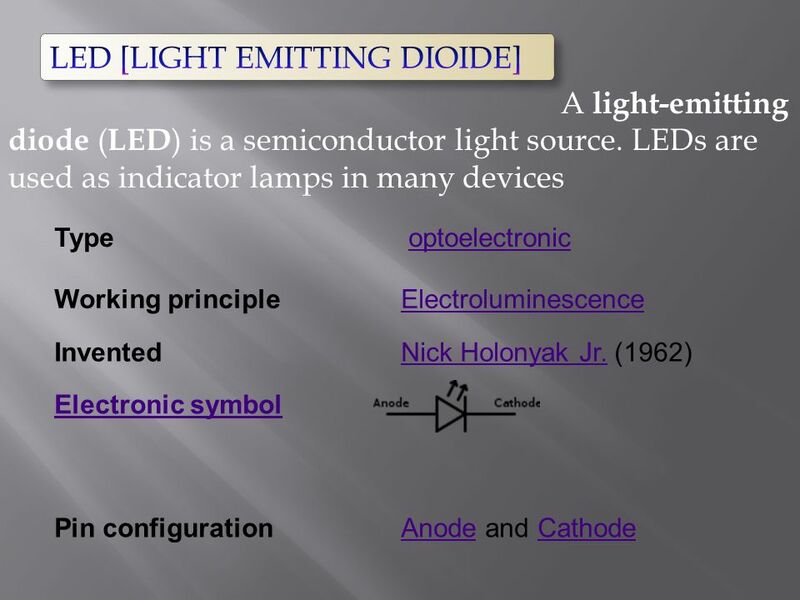 Semiconductor Devices Physics 355. 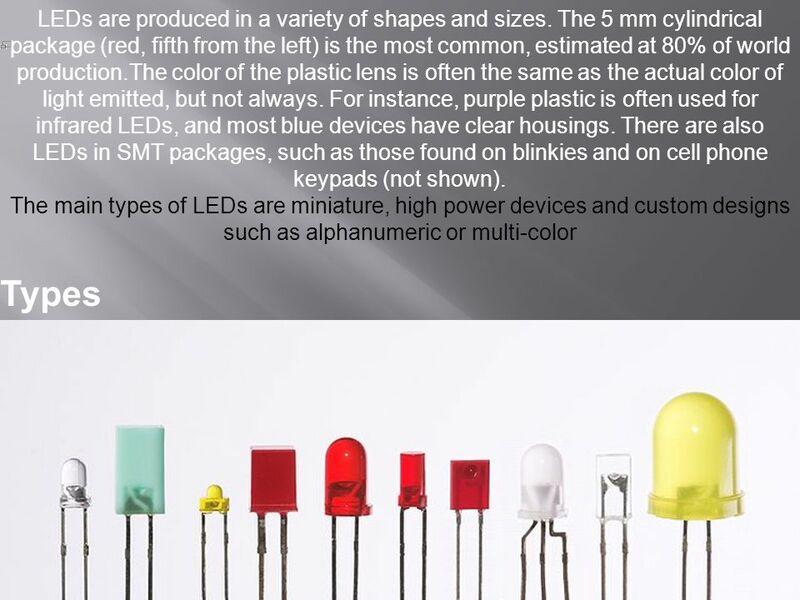 Semiconductor Devices The control of semiconductor electrical and optical properties make these materials useful for.